Home > Blog > Choosing an e-learning authoring solution: Built-in or third-party? 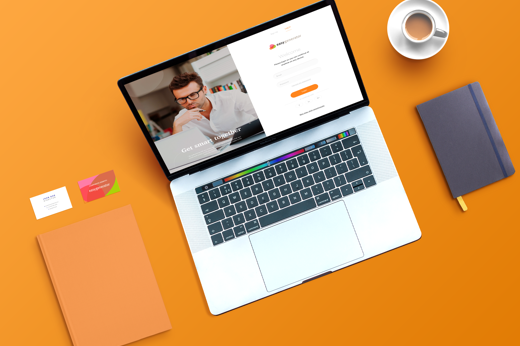 It may be tempting to opt for a built-in e-learning authoring tool instead of choosing to buy both an LMS and an external, third-party authoring solution. A built-in tool is one that lets you create e-learning courses and content inside your LMS. Third-party tools, on the other hand, are freestanding programs that enable you to build interactive e-learning courses and materials. You may be thinking that a built-in solution is the easier, more straightforward way to go. After all, it’s not always easy to find third-party authoring software that will be a perfect match for your LMS. But, as with any business decision, there are pros and cons that you should consider before making your choice. Here are a few points to consider if you’re in search of a new e-learning authoring setup. Direct publishing: If you author a course within a built-in tool, you can publish it immediately on your LMS, usually with just a few clicks. This means you can quickly build up a knowledge base. Easy adoption: Built-in tools are generally stripped back to just the most important authoring features, so authors can quickly learn how to use them. Savings: Because of their minimalistic design, you save on training and licensing costs. There’s no need to provide specialized training, and authors can quickly get started creating content. Loads of features: Third-party tools can be very highly specialized, so they give you many options for creating attractive, engaging training content. SCORM-friendly: If you’re interested in creating SCORM-compliant content, third-party tools are a good choice. SCORM enables you to share content across multiple systems, so you’re not tied to any specific LMS vendor. Community and support: For most third-party programs, you’ll enjoy the benefit of excellent online support in the form of forums, tutorials and message boards. The suppliers of these programs may also offer custom solutions upon request, so this can be an advantage if you need a truly tailor-made authoring solution. As you can see, there are good reasons for choosing each of these solutions. It’s often said that built-in authoring tools are difficult to use compared with third-party tools. It’s also very advantageous to have full control of your own project files, so your courses are not tied to any specific vendor. This makes SCORM-compliant third-party tools quite advantageous. To get the most out of your e-learning authoring software, we recommend choosing a third-party tool in addition to your LMS. This is a great basis for creating content that is truly engaging and interactive.